Oghenekaro balances three careers, one as an actress, a Makeup Artist - the creator/CEO of Kadia Makeovers and a philanthropist. 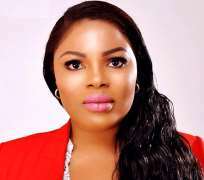 Some of her notable features include ‘Shattered Mirror’ a feature film directed by Lancelot Imasuen Oduwa, ‘The Prodigal’ and ‘Esohe’ by Charles Uwagbai . She has also featured in some prominent series including, ‘Lincoln's Clan’ and ‘Tinsel’.